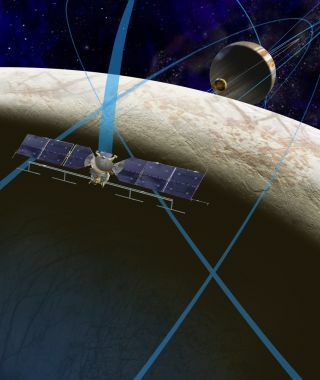 An artist's concept depicts a NASA mission to Europa. NASA aims to launch the mission, which will likely feature about 45 flybys of the icy Jupiter moon, by the mid-2020s. NASA announced the science instruments for its mission to Europa, SpaceX was certified for U.S. military launches and a tiny solar-sailing spacecraft suffered a glitch in orbit. Here's a look at Space.com's top stories of the week. Did stellar corpse rip alien planet apart?